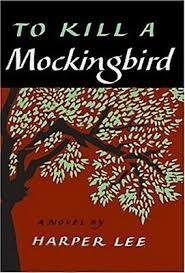 “Miss Maudie Atkinson baked a Lane cake so loaded with shinny it made me tight.” Scout Finch, in To Kill a Mockingbird. It is a well-worn bit of writing advice that the writer should be engaging all of the reader’s senses. In important scenes and throughout the book, the reader should see, hear, feel, smell, and even taste what is happening. Taste tends to be the least utilized sense (in writing and reading), but food–obviously–provides the readiest way of engaging this sense (unless you are writing vampire novels, in which case the mention of blood and the frequent throwing of garlic could do it for you). Let’s turn to–you guessed it!–Harry Potter to see about this. One of the things J.K. Rowling has done so brilliantly in this enduring series is to touch on oh-so-many interests and points. From sports (Quidditch!) to academics, from humanitarianism (Elf Rights!) to humor, the series has something for everyone. Likewise, she is a master at engaging all of the senses. Just ask any Potter fan about Butterbeer or Every Flavor Beans, and you’re likely to unlock a much longer conversation. Harry, Ron, and Hermione are frequently engaged with food (as are we all), much of which is described. I would hardly call To Kill a Mockingbird a literary feast for the foodie. But it does mention cakes and other meals that Calpurnia cooks for Scout or Aunt Alexandra cooks for ladies’ events. It’s the neighbors, though, that supply the Lane Cake. Miss Maudie is fond of using sweets to induce her younger neighbors to hang with her or to fatten them up (literally and emotionally). It is through her that we hear about the Lane Cake–the king of all domestic accomplishments and excesses in 1930s Alabama. And since Lane Cake is a real, true part of the history of the South and also sounds so alluringly tasty and challenging to make, it has acted as a sort of siren song for foodie readers. This time, though, I am on pace with what must be hundreds or even thousands of other closet-foodie readers. Because we are talking the positively buzzing To Kill a Mockingbird and the cake that it made famous: Lane Cake. Note: This is really, truly the Lane Cake that I made for my husband’s birthday. I am pretty much an experienced cake maker, and baking this cake needs all the experience it can get. I found the original recipe (and changed it just a bit) from an online Saveur article. Preheat your oven to 350F. Grease 2 9-inch cake pans with coconut oil, then fit them with 2 rounds of parchment paper, then grease again and flour. Set aside. In the bowl of a stand mixer, beat together 1 cup unsalted butter, 1 2/3 cups granulated sugar, and 1 teaspoon vanilla extract until pale and fluffy. In a large mixing bowl, sift or whisk together 3 1/2 cups all purpose or cake flour, 4 teaspoons baking powder, and 1/2 teaspoon salt. To the butter mixture, add 1 cup milk and the flour mixture, alternating between them as you mix. Move the firm batter to the large mixing bowl and set aside, then clean and re-assemble your stand mixer, making sure the bowl is cool and free from all debris. 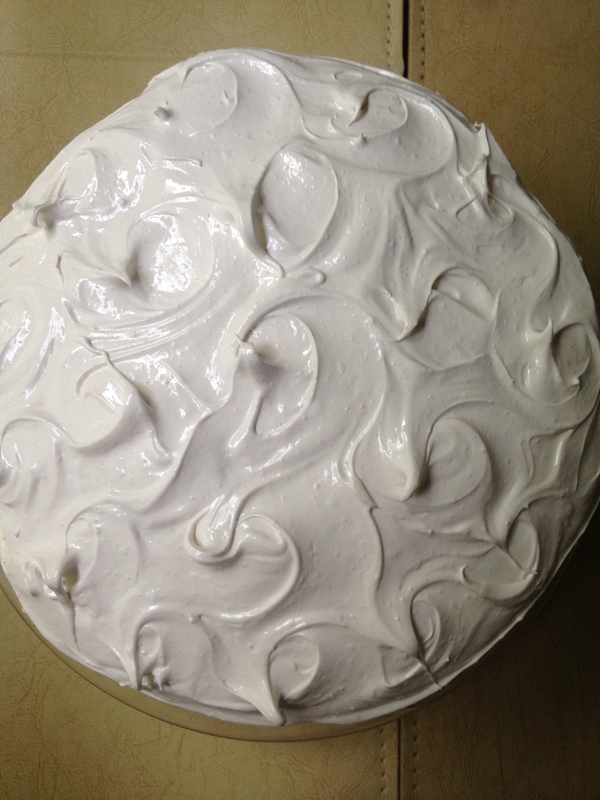 With the whisk attachment, beat on medium-high 8 egg whites with 1/2 teaspoon cream of tartar until soft peaks form. Slowly add in 1/3 cup granulated sugar and continue beating until firm peaks form. Gently (and awkwardly) fold the egg whites into the cake batter just until it is generally combined. Pour this mixture evenly into the cake pans and carefully smooth the tops. Bake for 40 minutes, until a toothpick comes out clean. Turn off the oven and let cool 30 minutes then un-mold the cakes and set on a cooling rack. Meanwhile, in a small, heavy-bottomed sauce pan, whisk together 1 cup granulated sugar and 8 egg yolks (which you have saved from step 5). Stir in 1/2 cup cubed, unsalted butter and 1/2 cup bourbon (or brandy). Heat over medium heat, whisking constantly, until 2 minutes after it comes to a simmer. Set aside. In your (now cleaned) mixing bowl, combine 1 cup chopped pecans, 1 cup grated coconut, and 1 cup raisins. Mix in the egg yolk mixture and 3/4 teaspoon salt (unless your pecans are very salty–if so, omit the salt). Using a long, serrated knife, cut the cakes in half long-ways (like a hamburger bun). Set your bottom cake layer on a platter or cake stand, and spread with 1/3 pecan mixture. Do next two layers the same, then end with the last cake layer (and no filling). Meanwhile, clean out that stand mixer again and make sure its cool and debris-clean again. When your cake is cool, mix 1 1/2 cups granulated sugar, 2 tablespoons light corn syrup, 1/4 teaspoon salt, and 4 egg whites (yes, more) in the stand mixer bowl. Fill a sauce pan with an inch or two of water and bring it to a simmer. Set the stand bowl over the simmering water so that the bottom of the bowl does not touch the water. Insert a candy thermometer into the mixture and whisk until the temperature reaches 140F. Immediately move the bowl back to the stand and whisk on medium-high until very stiff peaks form. Frost the layer cake with the white, fluffy clouds of frosting. Smooth it all down and then swirl it up into whatever patterns come to your imagination. Chill 30 minutes before serving, with coffee. Options: some people include candied cherries in their filling or on top of the cake, and some people use pecan filling on the top instead of white frosting, just frosting the sides. Also, some recipes do not use any coconut. I also acknowledge that this cake would do well with omitting some butter and using coconut oil instead. However, I wanted to keep it real classic. “Mr. Avery will be in bed for a week—he’s right stove up. He’s too old to do things like that and I told him so. Soon as I can get my hands clean and when Stephanie Crawford’s not looking, I’ll make him a Lane cake. That Stephanie’s been after my recipe for 30 years, and if she thinks I’ll give it to her just because I’m staying with her she’s got another think coming.” Miss Maudie, in To Kill a Mockingbird.